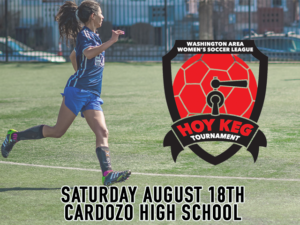 The Hoy Keg Cup, a cherished annual part of the DC Women’s Soccer Scene was held on August 18th at Cardozo High School in DC. 13 teams featuring over 150 talented players competed in a world-cup style 7v7 competition. Division champions on the day included, respectively, Competitive and Intermediate winners Prestige Worldwide and Victorious Secret. With their registration fees, tournament participants collectively raised over $3,000 for local non-profit Open Goal Project. Open Goal helps create opportunities for low income boys and girls to access quality, competitive soccer opportunities so that that they may grow as players and individuals. 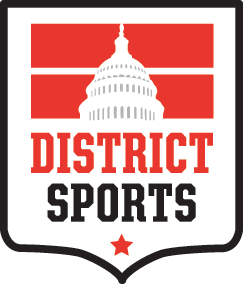 Thank you to all who participated and for female players looking for opportunities to play in an all-women format check out our new joint league with the Washington Women’s Soccer League!